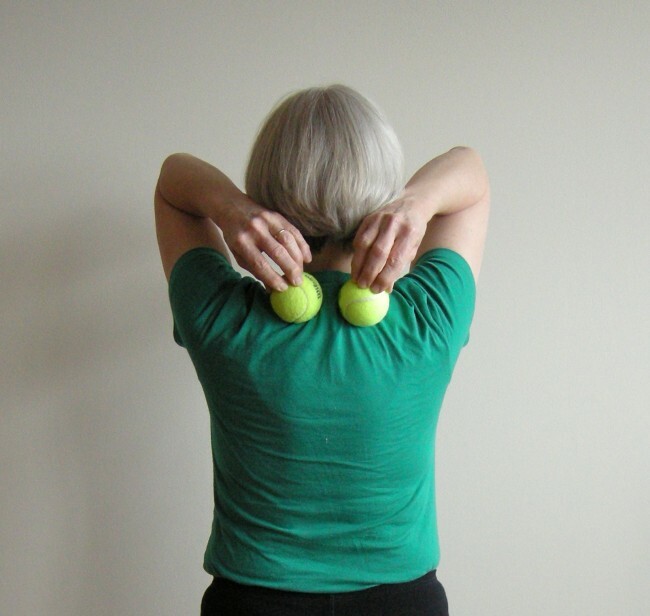 Place the tennis balls in the meaty part of your upper back, one of each side of your spine, close to your spine. As yoga props go, tennis balls are close to unbeatable: inexpensive, widely available, and supremely effective. True, you will never find an ancient Vedic seal with a yogi rolling on a tennis ball, and there is no traditional Wilson-asana. But a few regular minutes of rolling on tennis balls every day could change your upper back, not to mention your hamstrings, forever. And that can’t help but improve your practice. For example, spend five minutes rolling the soles of your feet on a tennis ball, and your reach in a standing forward bend will most likely improve by as much as two inches. Lie on the floor for five to 10 minutes, roll just the area of your spine between your neck and the bottom of your ribcage, and you’ll ease hours of desk work out of your back. 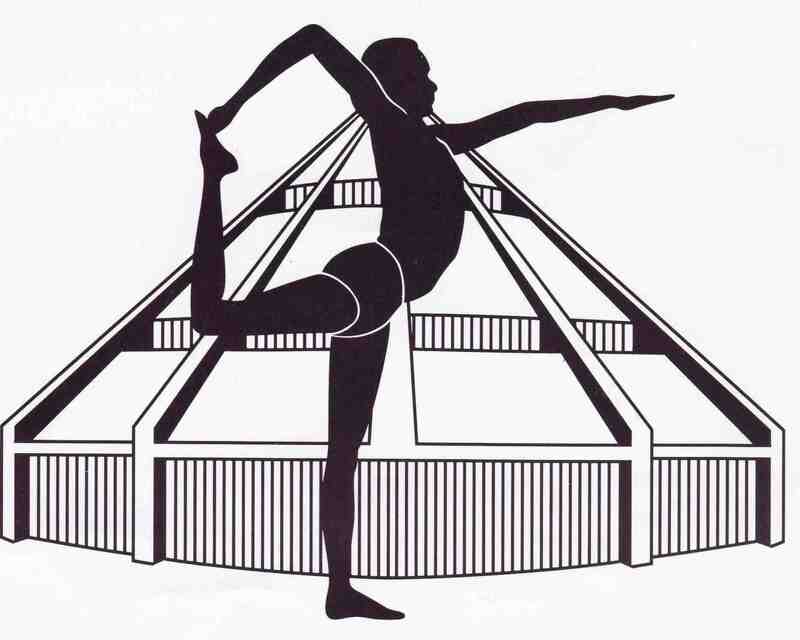 Roll down your spine to your sacrum, then move gently from side to side to release your pelvis. Furthermore, ball rolling is easy. Although it does takes practice to keep the tennis balls close to your spine, you’ll still feel the benefits on your first try, and it won’t take you long to be an expert. The only way you can do it wrong is to overdo. Stick to 10 minutes a day and you’ll be fine. 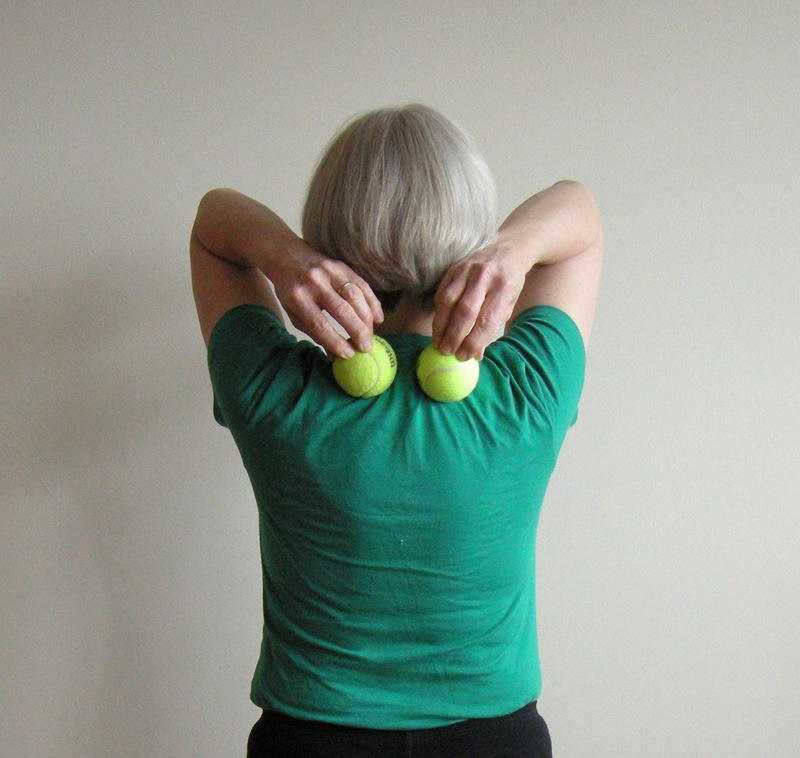 Place the tennis balls as they are shown in the photo, as high on your back as you can, on either side of your spine. Then pause, wait, and breathe. 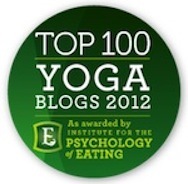 If the sensation is too much, or your head hangs awkwardly, use your hands to lift your head. If you want more sensation, lift your pelvis. Then roll from a half-inch to an inch toward your head. Use your exhalations to release your muscles around the tennis balls. When you come to a spot that’s particularly intense, stay and breathe. Given time, the spot will release and soften. If you only have five minutes, then stay in the area between the bottom of your neck and the bottom of your shoulder blades. 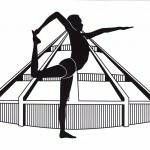 If you have more time, you can still stay in the upper back, or roll a little farther and explore your sacrum and hips. When you’re done, take the tennis balls out and let your back relax on the floor. Spend at least three breaths, more if you can, basking in the sensation of a soft and fluid back. Thanks Eve! I’ve been doing this one at home and also shared it with my class today. They loved it too. A neat tip I came across was to put a ball inside a nylon stocking. That way you can roll on shoulder muscles as you lean into a wall, without chasing your ball around the room. Sometimes the simplest things are the most effective. So glad you liked it. I finally tried this today… it’s amazing!